The Centaurs Jungle Trail is home to the twists, turns and adventure of off-road cycling. Like nothing else in Singapore, we are working with some of Singapore’s top cyclists to pioneer off-road tracks, MTB courses, and competitive events. Centaurs Group collaborates with Cycosports and has established a Jungle Cross Series aimed at everyone who wants to go off-road in Singapore. The concept has the full backing of Singapore Cycling Federation and many top riders from Singapore and Malaysia. Events are for the whole family – junior riders can take part in clinics, learning skills in a safe environment. Under tuition from Singapore biking expert Hariul Nazwa of TriAdventure 21, junior (10-18 years) riders of all skill levels can join mountain biking and BMX camps at Centaurs Sports Park. These are introductory clinics aimed at developing bike handling and mountain biking skills of the next generation of riders. 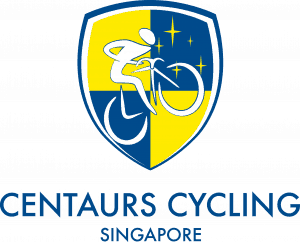 As of November 2018, Centaurs Sports Park is the new home of Singapore Cycling Federation (SCF). At their new home in Turf City, utilising the Centaurs Jungle Trail and BMX Park, SCF plan to develop more opportunities for avid cyclists and introduce more young talent to biking sports.